Daniel Goss Spracklin was a son of Daniel D. and Sarah Spracklin. He was born 21 September, 1870 in Benton Co., Iowa. He died 8 August, 1927 in Calhoun Co., Iowa and is buried in the Cedar Township Cemetery in Calhoun County. Daniel’s mother Sarah was a member of the Methodist Protestant Church circuit that covered the churches of Deep River, Bethel, Mt. Zion, Spring Dale, and Keswick in Iowa and Poweshiek County. Sarah was listed as a member and Daniel G. Spracklin’s baptism was listed on page 186. Source: FHL#1003429 Item 3. 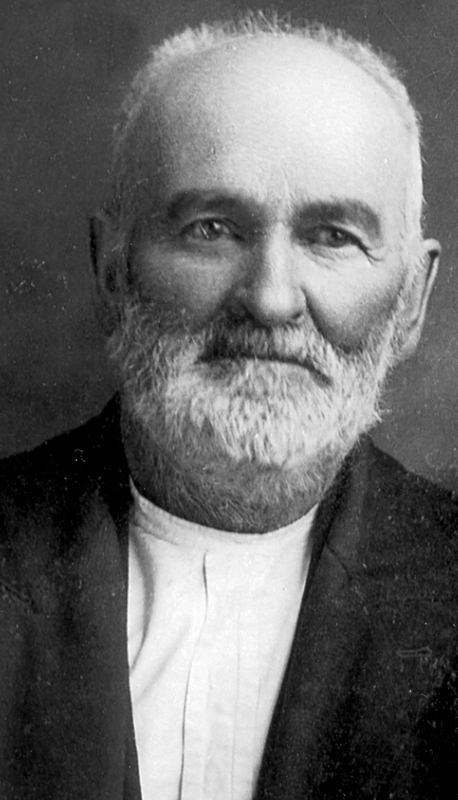 Daniel married on 29 January, 1907 to Susan Matilda Marrow. 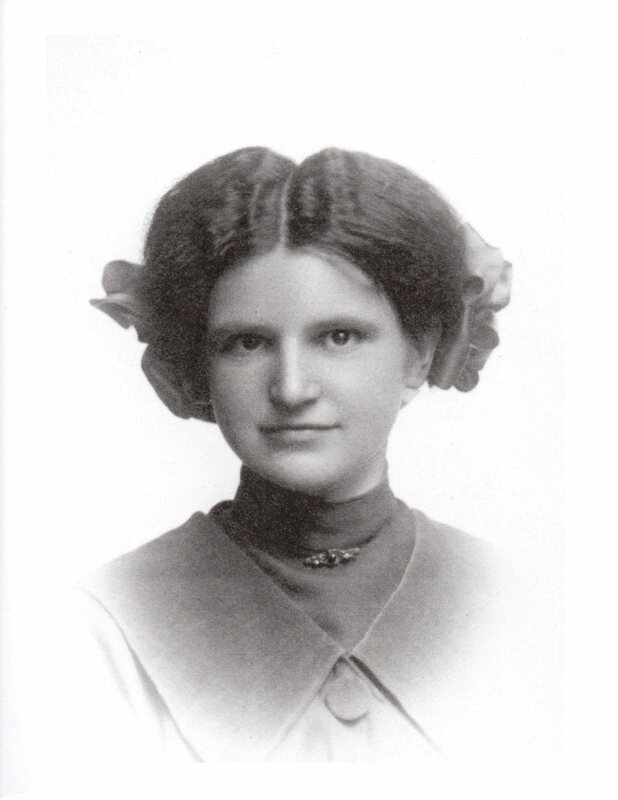 She was born 23 August, 1869 in What Cheer, Keokuk Co., Iowa and died on 19 December, 1909 in Enid, Garfield, Oklahoma. Susan’s parents were John Marrow and Rebecca Kinder. Susan had been married before to a Robert Louis Lash on 16 November, 1890 in Mahaska Co., Iowa ( Source: Marriage Records 1844 to 1939 Mahaska Co., Iowa FHL#985383). Robert was born 10 July, 1869 in What Cheer and he died 23 August, 1899. Find A Grave has a tombstone photo and memorial to Robert with links to several children. He is buried in the Indianapolis Cemetery in Rose Hill, Mahaska County, Iowa. 1. Jessie Orvil Lash born 31 March, 1892 in What Cheer, Keokuk Co., Iowa and he died 16 April 1969 near Deep River, in Poweshiek Co., Iowa. Jessie is buried in the Goldenrod Cemetery in Deep River, Poweshiek co., Iowa. Find A Grave has a tombstone photo and memorial to him. 2. Bessie Jane Lash was born 28 March 1894 in What Cheer and died 27 June 1912. 3. Fred Nesburt Lash was born 22 April 1898 in What Cheer and he died 17 January 1930 in California. He is buried in the Oakdale Citizens Cemetery in Oakdale, Stanislaus Co., California. Find A Grave has a picture of his tombstone and a memorial with links at the website. 4. John Charles Lash was born 24 March 1900 in What Cheer and died the 17th of December 1940 in Hot Springs, South Dakota. He may have married several times and had several children. In the 1900 U.S. Federal Census, Susan appears with her children living in Pleasant Grove, Mahaska, Iowa as a widow. She has Jesse, Bessie, Fred and John with her. She is still there in 1895 per the Iowa State Census. 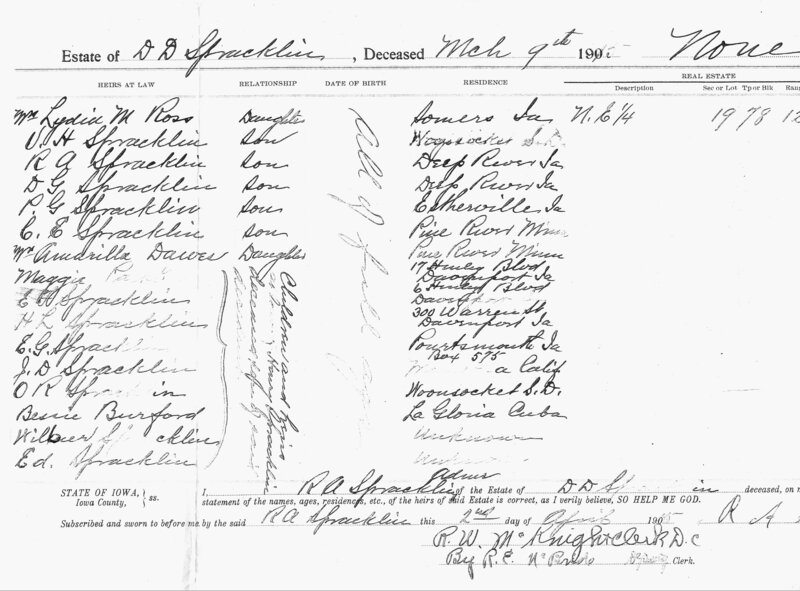 Going back to 1880 we find Daniel Goss Spracklin in the U.S. Federal Census living with his parents Daniel and Sarah and his siblings. He 10 years old. In 1885 Daniel is listed under the name Dalia and he is 14 years old. In the 1895 Iowa State census Daniel is 24 years old and he is single. In both 1885 and 1895 he is living with his parents in Dayton Twp., Iowa County, Iowa. In the 1900 U.S. Federal Census Daniel G. Spracklin has a birth date of September of 1870 in Iowa. He is 27 years old and single. Daniel is with his parents and brother Charles. Daniel and Susan Morrow Lash one child together. 5. Opal Matilda Spracklin born 29 August, 1908 in Poweshiek Co., Iowa. She died February 1987 in Calhoun Co., Iowa. 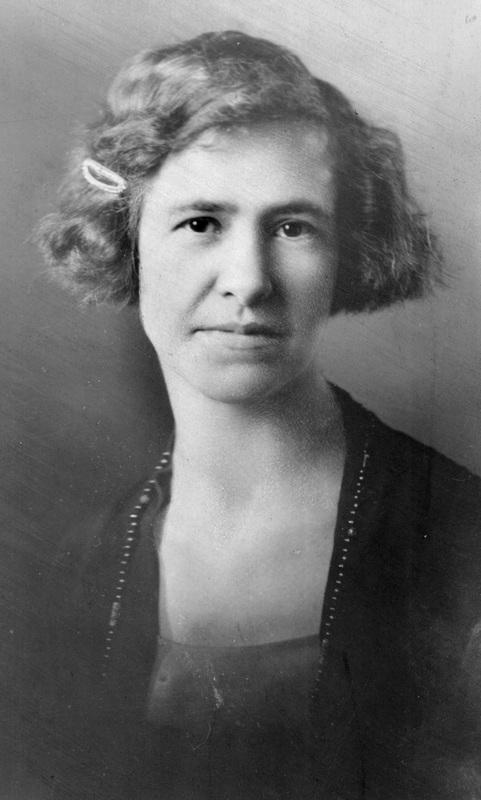 Opal married a Clarence Harrison Vote on 18 August, 1925 in Gilmore City, Humboldt Co., Iowa. Clarence was born 8 August, 1888 in Somers, Webster Co., Iowa and died about 15 February, 1976. He was the son of John Martin Vote and Eleanor Amanda Hocket. Clarence had been married before to Lillian Cressinger. She was born 28 March, 1886 and died 10 April, 1920. They had one daughter named Alberta Lillian. Clarence and Opal appear in the 1930 U.S. Census. Source: 1930 U.S. Federal Census in Somers Town, Cedar Twp., Calhoun Co., Iowa. Clarence is a truck driver for a dray line. ED 13-6, SD#5, Sht#2A. Enumerated April 3-4, by Lela J. Wright. Line 32, 38, 40, Vote, Clarence H, Head, 0, $2000, yes, M, W, 41, M, 20, No, Yes, born Iowa, father born PA, mother born Wisconsin, truck driver, dray line, no, 5. Vote, Opal M., Wife of H, F, W, 21, M, 17, No, yes, born Iowa, parents born Iowa, and all children born Iowa. Source: 1940 U.S. Federal Census living in Somers, Calhoun Co., Iowa, SD#7 ED#13-16, Sht#3A, enumerated 9 April, 1940 by Vesla M. Tripp. We find Daniel in the 1910 U.S. Federal Census living in Enid, Garfield County, Oklahoma. He is widowed. Source: 1910 U.S. Federal Census, Enid Township, Garfield Co., Oklahoma, SD#1, ED#16, Sht #7 A, enumerated on 27 April 1910 by __________. Spracklin, Opal M., daughter, F, W, 2, S, yes, yes. Daniel has migrated back to Iowa by 1915 and is living in Deep River not to far from where his parents farm was located. Daniel was not listed with the Estate Partition deeds for his father’s land but he did get his portion of the estate money at the final report in April of 1916. Source: 1915 Iowa State Daniel G. Spracklin and his daughter Opal appear on the individual cards for that census. #54? D.G. Spracklin, age 44, Iowa Co., PO Deep River, Dayton Twp., occupation farmer, total earnings in 1914 $200. Common education 10 yrs. Born in Iowa, father born in Ohio and mother born in Indiana. #55 Opal Spracklin 6 yrs. old, Iowa Co., PO Deep River, Dayton Twp., born in Iowa, father born in Iowa, mother born in Iowa, six years in Iowa. In 1920 Daniel is in Iowa with a couple by the name of Gray. The relationship of the Gray family, if any, to Daniel is unknown to me. Opal, his daughter, is living with Virda Huston Spracklin in Franklin, Jerauld Co., South Dakota. Virda is Daniel’s older brother. 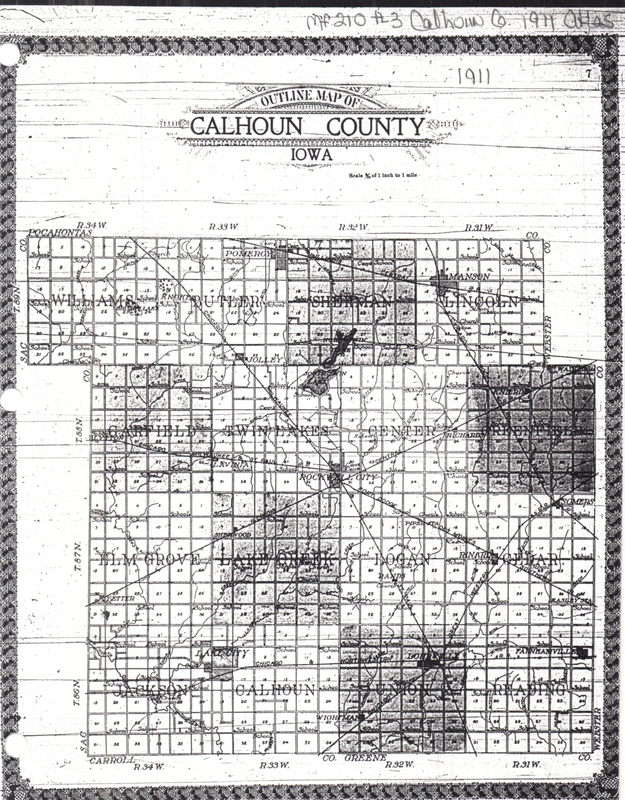 Source: 1920 U.S. Federal Census, Somers Town, Cedar Twp., Calhoun Co., Iowa, Precinct No. 1, SD#10, ED#32, Sht# 7B, enumerated the 19th & 20th of January, 1920, by William A. Thompson. Line 95, 162, 165, Spracklin Daniel, Head, 0, M, M, W, 49, wd, born Iowa, father born Ohio, mother Indiana, laborer, steam railroad, W, 85. Gray, Chauncey, Head, M, W, 58, M, born Illinois, father born New York, parents born New York, carpenter, house, W, house, W. Gray, Blanche A, wife, F, W, 54, M, born Wisconsin, father born Ohio, parents born Ohio. Much to my delight, Daniel and Opal appear in the 1925 Iowa State census together. Source: 1925 Iowa State Census, Somers, Calhoun Co., Iowa, residence date 1 January 1925. Two pages. 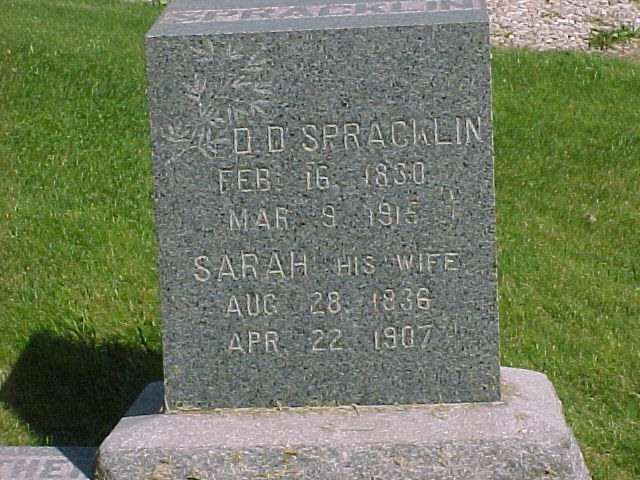 Line 138 Spracklin, Opal M., daughter, F, W, 16 S, Father Daniel Spracklin, born Iowa, Mother, Susie M. Morrow, born Iowa, married in Iowa. Daniel died the 8th of August, 1927 and he is buried in the Cedar Cemetery in Calhoun County, Iowa. Source: Cedar Township Cemetery, Calhoun County, Iowa, Published by the Iowa Genealogical Society, Des Moines, Iowa, page 13. Please double check the above information and if anyone knows where Susan or Opal are buried, I would like to know. Daniel and Sarah Spracklin’s Children: Reed A. Spracklin and Julia Ann Siler! Reed was born on 24 August, 1868 in Benton Co., Iowa. He was living with his parents, Daniel and Sarah, up until the 1885 Iowa State Census but after that he left home and went to live with his sister Lydia in Calhoun Co., Iowa. 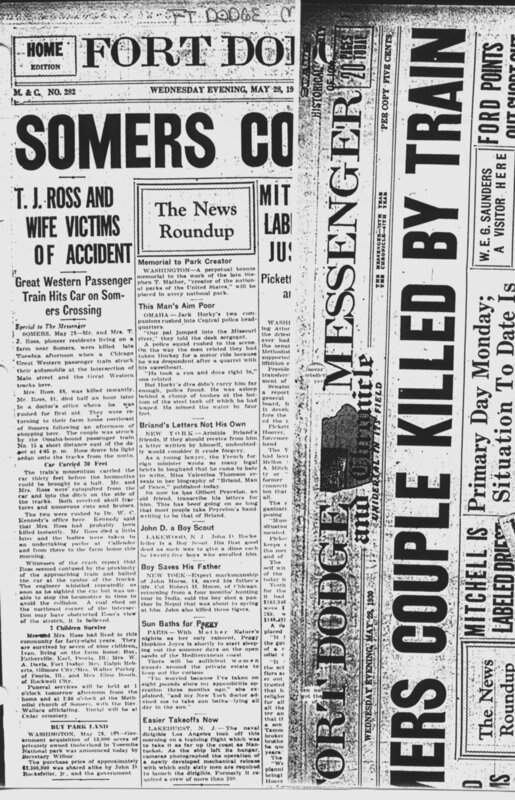 In August of 1894, Reed got into a little bit of trouble. He was accused of rioting? Three toughs names Ed Stacy, Riley Metcalf and Reed A. Spracklin are under bonds to appear before the Calhoun County grand jury at its next setting, to answer complaints made by Bonheur Bros., for attempted riot. These fellows had laid a plan to throw eggs at the tent of the Bonheur Bros, after their entertainment at Muddy, and purchased three dozen eggs at Rice’s store for the purpose. No reason was manifest for the action of the roughs except the failure of a talking machine to work, and as this was a very unimportant feature of the show, the respectable portion of the audience expressed indignation, just after the races closed in Webster. Source: News from Over Iowa: Three toughs named Ed. Stacey, Riley Metcalf and Reed A. Spracklin are under bonds, Pocahontas County Sun, Laurens, Iowa, Front page news, 1st column, No. 10. Maybe Reed started behaving himself because he got married in 1897 to Julia Ann Siler. 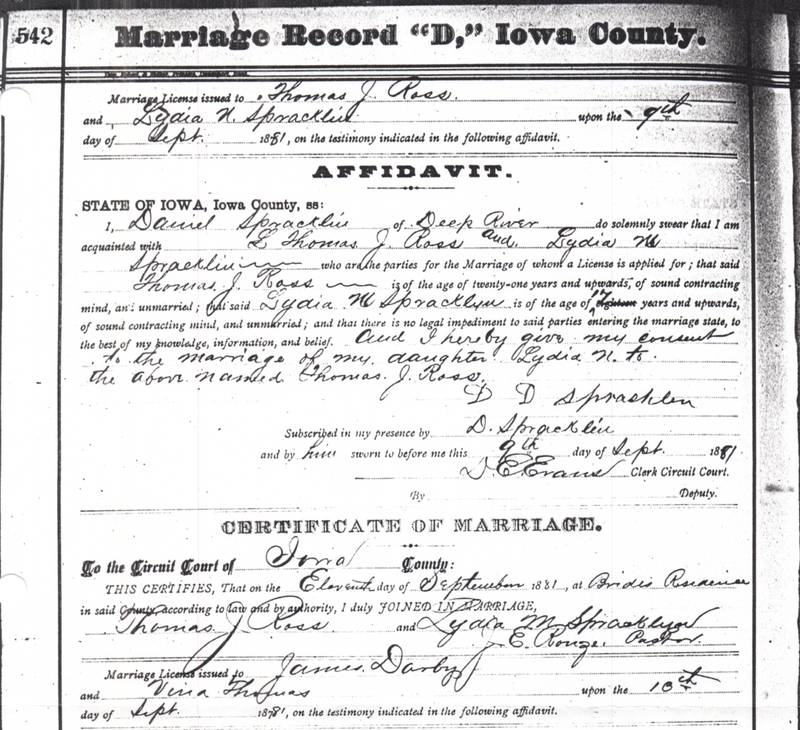 Source: Marriage of Reed Spracklin to Julia Annie Siler, Iowa Marriage Records 1880-1937. Reed Anamin Spracklin born about 1867, age 30. Marriage date 29 December 1897, Calhoun, Iowa. Father David D. Spracklin and mother Sarah Blaesher. LH Siler gave approval 1/277. Note: There are several things to notice in this marriage record, the middle name of Reed. I have no idea what the recorder was thinking. His father is Daniel instead of David and his mother’s last name should be Blacketer not Blaesher? Julia was born 30 September, 1878 in Nebraska to William Henry Siler and Anna B. Kibbee. Her father, William Henry, was born 6 July, 1851. He died 2 February, 1939. 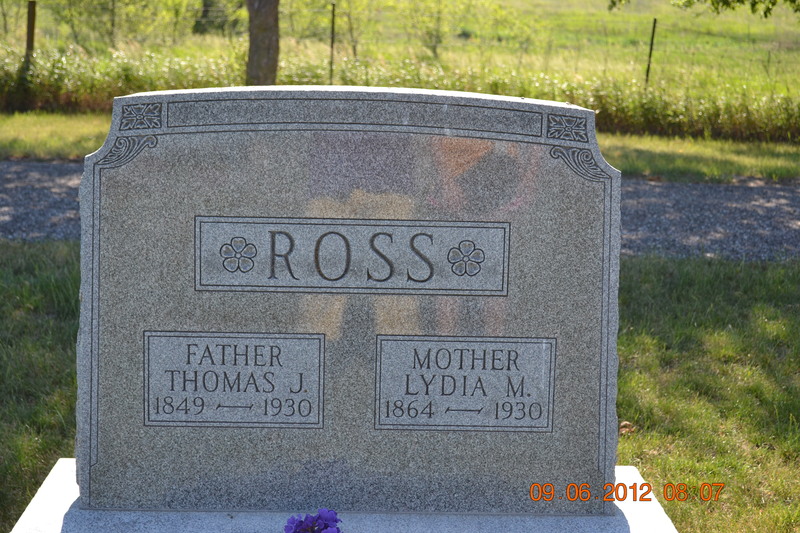 He is buried in the Cedar Township Cemetery in Calhoun Co., Iowa. SOURCE: Cemeteries of Calhoun Co., Iowa, Cedar Township Cemetery, page 20, Published by the Iowa Genealogical Society, Des Moines, Iowa. William Henry Siler married Anna B. Kibbee on 2 May, 1875 in Linn, Washington Co., Kansas. Source: Kansas Marriages 1840-1835, Marriage of Wm. Henry Siler born 1852 in Linn Co. age 23, to Ann Kibbee born 1857 in Linn Co. age 18. Date of marriage 6 May, 1875, Linn Co., Kansas. William’s father was Henry Siler (b. 1824 in Ohio) and his mother was Romanza Garrett (b. 1828, Kentucky). Source: Henry Siler Family, 1875 Kansas State Census, Potosi Twp., Linn Co., Kansas, PO Pleasanton, by John Edwards. Line 35, 1, 6, Henry Siler, 51, M, Farmer, $1000, $554, Born Ohio, came from Indiana. Anna B. Kibbee was born 5 March, 1857 in Tama Co. Iowa and died 3 December, 1896 in Webster Co., Iowa. See above Cemetery information. Her parents were Lucius Kibbe born about 1812 in Indiana and died 7 November, 1880. He married Letitia (Lettie) Boucher about 1846 probably in Delaware Co., Iowa. Lettie was born 4 March, 1825 and died 11 May, 1860 in Traer, Tama Co., Iowa. Find A Grave has Lucius Kibbee at the Morsett Cemetery in Royal, Antelope, Nebraska. Another Find A Grave memorial has Lettie buried in the Bakers Grove Cemetery in Traer, Tama Co., Iowa. 71, 1 Lucius Kibbe, 40, M, 1, 20, [Ind], Letta Kibbe, 30 F, 1, 9, Ill, Randolph B, Kibbe, 9, M, 9, Iowa. Alonzo B. Kibbe, 8, M, 8, Iowa, Enos B. Kibbe, 5, M, 5, Iowa, Jane B. Kibbe, 3, F, 3, Iowa, Margrett B, Kibbe, F, Iowa. Here they are again in the 1860 census. Source: 1860 U.S. Federal Census, Lucius Kibbe Family, Carroll, Tama Co., Iowa, PO Toledo, page 114, enumerated on 24th day of July 1860 by Chas W. Irish. Line 1, 888, 817, L. Kibbe, 45, M, farmer, $3200 $800, Ind. The Kibbe children are: Randolph 1847-1922, Alonzo 1848-1935, Enos 1851-1930, Jane 1853-1883, Marietta 1855-1892, Anna B., Lucius 1858-1954, Mariah 1860-1951. This is a very large family with more details than what I can share here. Find A Grave has a memorial and tombstone picture for Lucius Kibbe at the Morsett Cemetery in Royal, Antelope Co., Nebraska. Letitia Boucher Kibbe is buried in the Bakers Grove Cemetery in Traer, Tama Co., Iowa. Lettie’s parents were John Boucher 1790-1854 and Margaret Shook. Margaret (Rachel) was born about 1791 in Hardy Co., Virginia. She died 4 October, 1866 in Monticello, Jones, Iowa. They had the following children: John Vincent, Letitia, Flora B., Mariah Jane, Margaret Ann, and Thomas. John and Margaret (Rachel) Boucher are buried in the Bowens Prairie Cemetery in Jones Co., Iowa. There are memorials at Find A Grave. Margaret’s father was Solomon Shook born about 1763 in Frederic Co., Maryland and died before 1830 in Monroe Co., Illinois. The Shook family was very large with about ten children. The mother is not known. Their children are: Solomon, Samuel, Mary Polly, Catherine, Michael, Amos, Lucretia, Rhoda, William, Margaret (Rachel). Find A Grave has a memorial and tombstone to Solomon Shook at the Miles Cemetery in Monroe Co., Illinois. Solomon’s father was Lawrence Shook born 1733 and died before 11 November, 1822 in St. Clair Co., Illinois. Julia had several siblings: Lucius Henry 1876-1954, Ida Jane 1880-1974, Eva Belle 1882-1959, Alfred Sherman 1885-1969, Albert Sherman 1885-1968, Olive May 1888-1973, W.M. Edward 1890-1891 and Alta Mariah 1892-1893. The last two are buried in the Ceder Township Cemetery in Calhoun Co., Iowa. When I visited Montana a second time, I made an effort to get two cousins together who are descendants of this family. I was successful. One of the cousins brought a along a genealogy book about the Kibbe Family. Book: Kibbe genealogical notes on some descendants of Edward Kibbe and his wife Mary (Partridge) Kibbe, by Hanna, Dorren Potter, 1899, published 1972. There is also a website at Rootsweb titled: The Davis Family of Stafford, Connecticut where you might find more about Julia’s side of the family. Julia Annie Siler Spracklin is a member of a very interesting and old family. I feel I have just touched the tip of the iceberg on her rich family history. There are others who probably know more about her lineage than me. My focus has been on Spracklin/lens, concentrating on Reed’s side of the family, which is no less colorful. 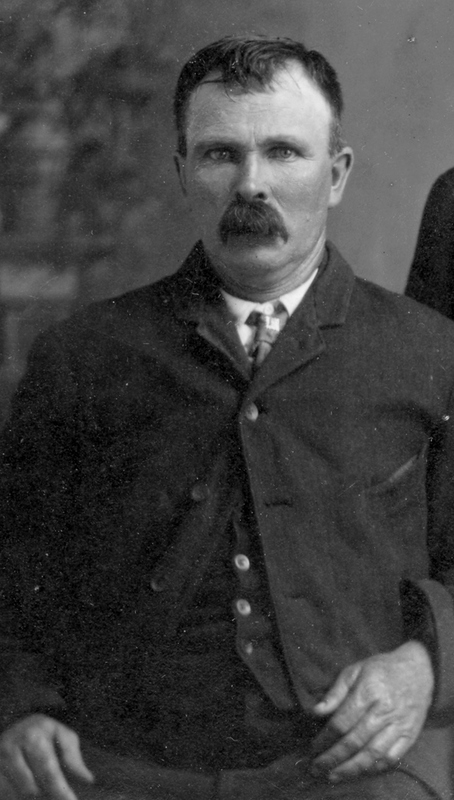 Reed continued to live in Calhoun Co., Iowa and we find him near his brother Virda in 1900. I have already posted about this connection in my post about Virda and Lilly. I present Reed’s part here in which Reed gets the birth location of his parents mixed up. Source: 1900 U.S. Federal Census, Reed A. Spracklin Family and Virda H. Spracklin Family, 1900 U.S. Federal Census, Cedar Twp., Calhoun Co., Iowa, SD#10, ED#30, Sht#2, enumerated 6 June, 1900 by Ira E. Babcock. Line 56, 30, 31 Spracklin, Reed A. Head, Aug. 1868, 31, M, 2, born Iowa, father born Indiana, mother born Ohio, farmer, yes, yes, yes, R, F, 27. 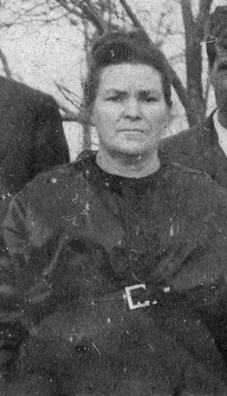 Spracklin, Julia A. Wife, F, Sept 1858, 21, m, 2, 2 born, 1 living, born Nebraska, father born Indiana, mother born Kansas, yes, yes, yes. Spracklin Amos, E., son, W, M, Aug, 1899 9/12 S. born Iowa. Something event must have happened about this time. The parents, Daniel and Sarah were aging. Daniel was 70 in 1900 and Sarah was 64 years old. In the 1900 census, brothers Daniel and Charles were living at home with Daniel and Sarah in Iowa County. Apparently it was decided that Reed would move in and take over caring for the parents. It would have been very interesting to know the story about how Reed came to be the caretaker of his parents and what the discussion was between him and his siblings. In 1905 we see that Reed took his family from Calhoun County east to Iowa County to help run the farm until his mother and father passed. Reed was to become the Administrator of his parent’s estate. They had an agreement. Reed would get 2/3’s of the farm and estate and the other 1/3 would be divided up with the remaining family. In 1905 C.E. Spracklin was probably brother Charles Edward. Source: 1905 Iowa State Census, D.D. Spracklin Family, 1905 Iowa State Census,Dayton Twp., Iowa County, Iowa, Lines 424 to 430, #1026383, Iowa County Genealogical Society, Marengo, Iowa. R. A. Spracklin, PO Deep River. The agreement between Reed and Daniel has been featured in a past post written on November 11, 2014, on this blog. You can find it by using the archive box on the right of this blog. It was only two years later that Sarah Jane Blacketer Allgood Spracklin, Reed’s mother passed away. She died 22 April, 1907. Sarah’s death has also been featured in a past post on this blog. Sarah had not been feeling well for over a year. 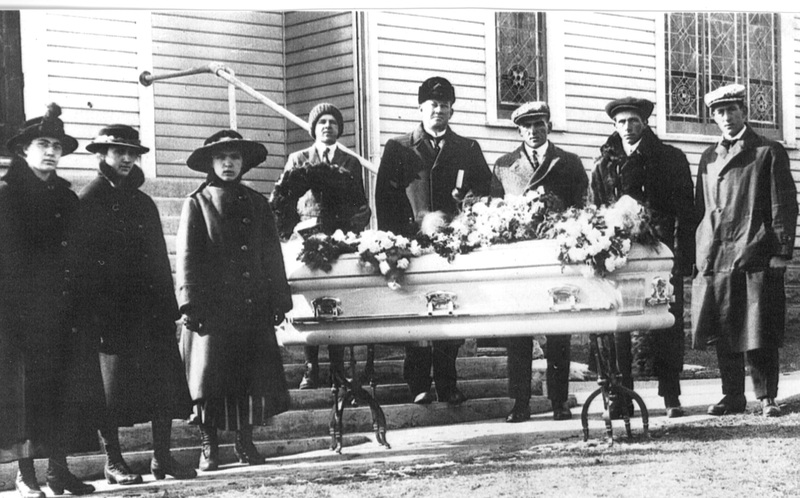 The funeral was held in Deep River at the M.E. Church of which she was a member. Reed is listed as R.A. in this 1910 Census and he is also the head of the family and Daniel is now 80 years old. 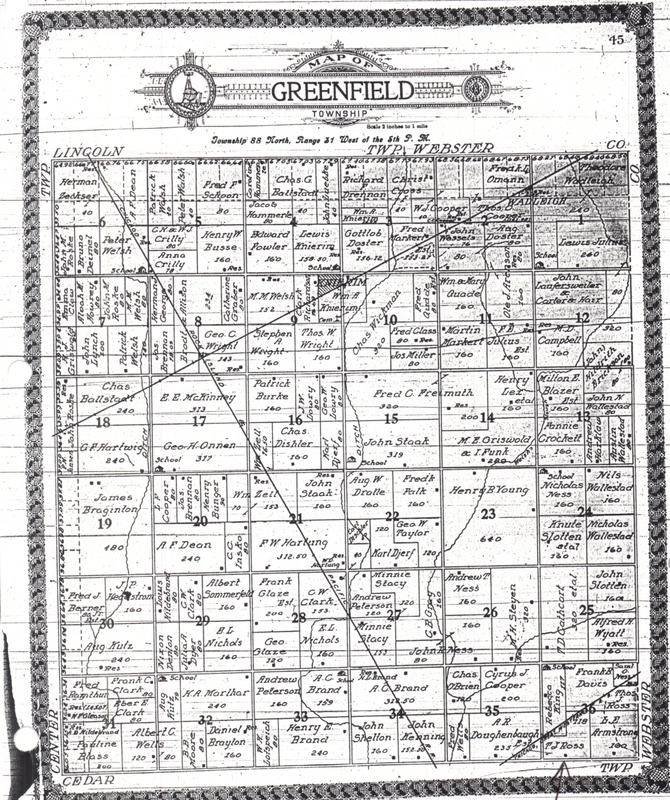 Source: Spracklin Family, 1910 U.S. Federal Census, Dayton Twp., Iowa Co., Iowa V#23, F#23 ED 39, Pg. #3, Lines 18-21. Line 16, 23/23, Spracklin, Reed. A., Head, male, white, 41 years old, married, 12 years married, born in Iowa, father born in Ohio and mother born in Iowa. He speaks English, is a farmer and has a general farm, owns it and is able to read and write, has a farm-house and the farm is #23 on the schedule. Julia A. Spracklin: Wife, female, white, 31 years old, married, 12 years married, born in Nebraska, father was born in Indiana, mother in Iowa, she speaks English, no occupation, can read and write. Amos E., son, male, white 10 years old, single, born in Iowa, parents see above, can speak English, no trade, going to school and can read and write. Oliver M., son, male, white 7 years old, single, born in Iowa, parents see above, speaks English, no trade and he is going to school. Harley G., son, male, white, 4 years old, single, born in Iowa, parents see above, no trade and is not yet in school. Spracklin, Daniel D., father, male, white, 80 years old, widow, born in Ohio, father born in England and mother born in Ohio, he has his own income and can read and write. Iowa has State Census and the 1915 is a series of individual cards, so it is very important to make sure you get the whole family. Amos Spracklin, card , male, white, public school, 15 years in Iowa, age 15, County Iowa, P.O. Deep River, Dayton, born Iowa, Father born Iowa, mother Nebraska. Daniel G. Spracklin, card 52, male, white, widowed, private 1, read, write, years in Iowa 40, age 44, County Iowa, P.O. Deep River, Township Dayton, farmer, 4 mos without work, $200, 10 yrs common school, born Iowa, father born Ohio, mother Indiana. Opal Spracklin, card 55, female, white, public, six years in Iowa, age 6 years, County Iowa, P.O. Deep River, Township Dayton, born Iowa, parents born Iowa. R.A. Spracklin, card 56, male, white, married, read, write, in Iowa 46 years, 46 yrs, County Iowa, P.O. Deep River, Township Dayton, born Iowa, father born Ohio, mother born Indiana. Julie Spracklin, card 57, Married, in Iowa 22 years, age 36, County Iowa, P.O. Deep River, Township Dayton, born Nebraska, Methodist, father born Indiana, mother born Iowa. Daniel Spracklin, card 58, male, white, widowed, read, write, in Iowa 46 years, age 84, County Iowa, PO Deep River, Twp. Dayton, retired farmer, 8 common, born Ohio, incumbrance on farm or home $1600, value of farm $14,000. Father born England, mother Ohio. Oliver Spracklin, card 60, male, white, public school 8, read, write, in Iowa 11 years, County Iowa, P.O. Deep River, Township Dayton, born Iowa, father born Iowa, mother Nebraska. Clifford Spracklin, card 62, male, white, read, write, years in Iowa 4, age 4, County Iowa, P.O. Deep River, Township Dayton, born Iowa, father born Iowa, mother Nebraska. Harley Spracklin, card 61, male, white, public school, read, write, in Iowa 8 years, 8 years old, County Iowa, P.O. Deep River, Township Dayton, born Iowa, father born Iowa, mother Nebraska. Roy Spracklin, card 65, male, white, 1 year in Iowa age 1, County Iowa, P.O. Deep River, Township Dayton, born Iowa, father born Iowa, mother Nebraska. The 1915 census implies that brother Daniel G. was living with them or nearby. Opal is brother Daniel’s daughter. This is good news. Son, Charles Edward Spracklin had gone to Minnesota by 1915 as we will see in a future post. It is good to know that Reed was not alone in caring for the father. Daniel D. Spracklin, just barely made the 1915 Iowa census. He died in March of 1915. Once Daniel had passed there would be big changes for Reed and his family. In Daniel D. Spracklin’s probate/estate file there was an Heirs-at-law form filled in with the names, and addresses of the heirs. I was thrilled to get this document, not all probate/estate files have them. I would just love to have one from John A. Spracklin’s estate packet, Daniel’s father, that would be great but so far I have not been so lucky. The most important part is that it shows that Amarilla is Daniel’s daughter, and that the others are her siblings, nieces and nephews. I have yet to find a bible or church record showing the births of the children of Daniel and Elizabeth, as well as Daniel and Sarah. Description N.E.1/4, Section and Lot 19 78, Range 12. V.H. 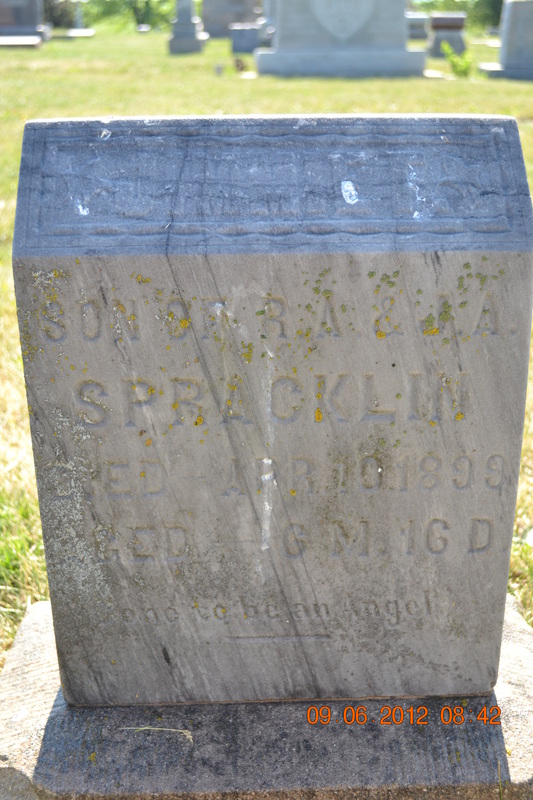 Spracklin, son, Woonsocket, S.D. Source: Estate packet #5964, 6-525, Iowa County Courthouse, Marengo, Iowa of Daniel D. Spracklin, Iowa County, Iowa March 9, 1915 – Heirs At Law affidavit. 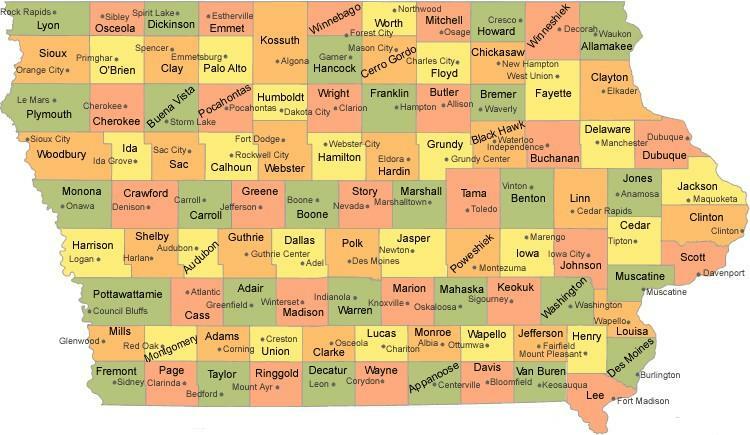 Based on the above form you can see why it was so difficult to find information out about Daniel’s children, they had all scattered to different locations of Iowa and even other states. In past posts on this blog, I have written about Henry Spracklin’s death and end of life and have given a brief amount of information about his children. See the post dated August 24, 2012, Henry and Elizabeth Spracklin’s Family.